Join us for the weekend of November 16th-17th for a tasting with the man himself, Gregory Benjamin! Gregory will be at The Living Earth from 10:00 am to 4:00 pm on Saturday and Sunday, providing samples of all 13 of his delicious flavors. In addition to his preserves, Gregory will also be offering samples of his salad dressings made from his preserves! To top it all off, Gregory will be giving away a FREE 9oz. jar of his luscious blueberry preserves with any $50.00 purchase of his products. So order a few jars for holiday gifts, and give yourself the perfect treat all at once! 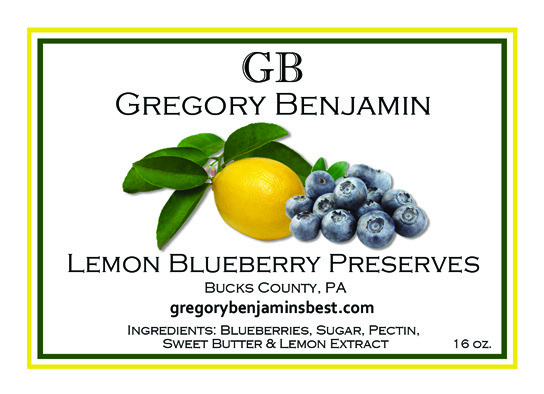 Gregory Benjamin preserves were recently named Best of Philly!! Categories: Gifts, Holidays, News/Promotions | Permalink.